How does Go Texas Movers protect my fragile items? All furniture items are padded and wrapped (or banded with large rubber bands, depending on the piece) before we ever pick it up or move it. That means that there will always be a layer of padding between your furniture and any walls, railings, or door jams. Inclement Weather Happens. Most of the time we keep moving during minor storms. All furniture items are protected (padded and wrapped) before they leave your house protecting your item from the elements. Usually there is not much of a walk in between the house to the truck so a little rain is rarely an issue. If it is raining very hard we can either wait for the rain to pass or reschedule the move. It really depends on the situation. As always, we will never move anything unless YOU feel comfortable. We move things into storage all the time. We do shrink wrap almost all furniture items however the shrink wrap is applied over and around our moving blankets to make sure they stay on. Shrink wrap should never be used as a sole means of protection, and definitely not for items stored long term in storage as it has a tendency to trap moisture which can damage wood furniture. What if I need different items to different places? Adding multiple destinations is not an issue at all. There are no additional charges but, obviously, driving to multiple locations will take extra time. Since we operate on a per hour basis, that means the cost will be higher. We do not stop the clock while driving from one place to another. Can Go Texas Movers pack up my house? We offer complete packing services, packing everything from records and books to fine china and artwork. We provide all the boxes and moving supplies. What do I need to do to store a refrigerator? Completely empty the refrigerator, unplug and allow it to begin defrosting. Leave the refrigerator doors slightly cracked so it can dry properly, avoiding any mold building up. Can you help with my attic? The flooring in most unfinished attics makes moving items in and out impossible for us to do safely. Also, attics have extreme temperatures and humidity that can damage your items. Consider getting a storage room or having a proper floor installed. Just like baggage in a commercial aircraft, we cannot transport any hazardous items. This includes but is not limited to explosives, ammunition, flammable gases, toxic substances, fuel as well as oil. If there is any doubt, please don’t hesitate to ask. It’s a simple fact: your mindset can dictate your happiness. If you look at moving as a stressful or negative experience, chances are it will be just that. But if you look at it as a positive experience, the sky is the limit. Moving can be the opportunity to assess what’s important as well as what is unnecessary in your life. It’s a chance to declutter and start fresh in a new home or build on the foundation of priceless belonging you have acquired thus far. Moving is stressful but it doesn’t have to cue a total breakdown. Maintaining a positive mindset can transform the entire experience. One of the best ways to ease the transition to a new town is to do your research ahead of time. Find local shops, restaurants, parks and gyms to check out. You can research the schools as well as find the best route from your new home to work. The moving experience will be a lot less stressful if you can implement some of your old routines. Do your research before you move so you will feel familiar with your new community. Moving takes a lot of time and energy, so organization will be your best tool for avoiding stress. Gather the proper supplies (like sturdy boxes, moving blankets, movers tape and bubble wrap) early on so you have plenty of time to pack. Separate everything you are not taking with you and get rid it. Label furniture and boxes accordingly. If you are hiring professional movers, be sure to schedule them in advance of your big day. Fill out a change of address, cancel subscriptions and transfer services to your new home. Being organized will ensure your experience will be nothing short of positive. Hiring professionals will be worth every penny if you are unsure of how to pack or just don’t want enjoy the labor intensive phase of your move. 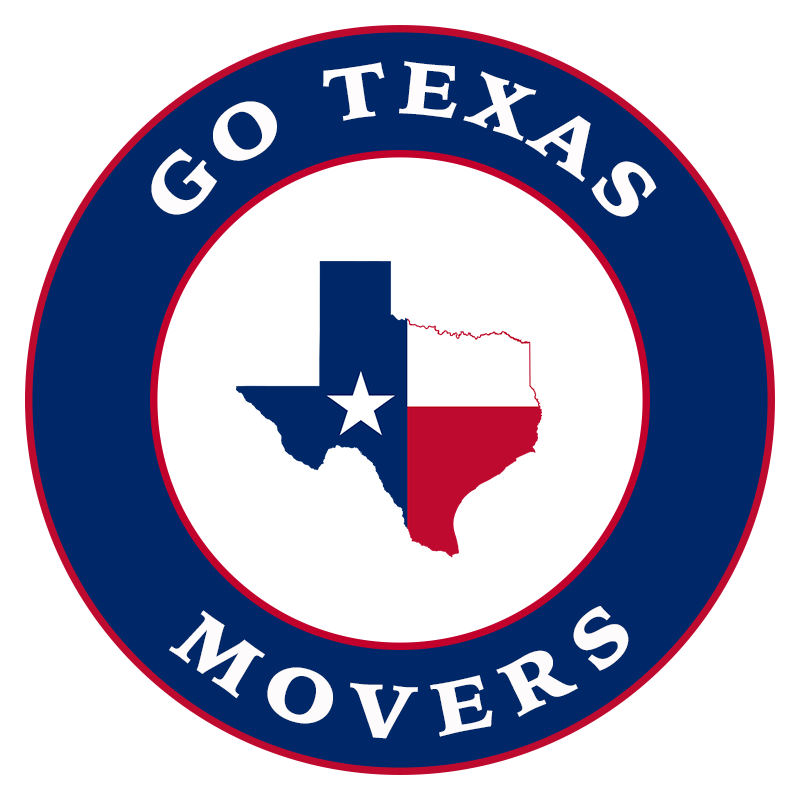 We at Go Texas Movers are trained to pack and handle your precious belongings every step of the move process. However, if you are a do-it-yourselfer, use caution both before and during the move. Be sure to use the proper supplies so your possessions are protected. Also, be sure to have an able-bodied crew scheduled for your big day. This most likely will be family and friends so please don’t wait to the last minute to request their help. When you arrive at your new home, you can expect boxes, furniture, and emotions to be a little overwhelming. It will take time to organize and get comfortable in an unfamiliar place, but don’t put off unpacking! Moving can be stressful because it’s disruptive to your regular routine. The sooner you unpack and get settled, the sooner you will be ready to start your next chapter.